Homepage / News / It’s the Most Wonderful Time of the Year? 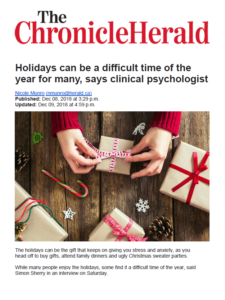 Ads and songs tell us Christmas is “the most wonderful time of the year.” But many people feel sad, anxious, dissatisfied, lonely and stressed around Christmas (Lewis, 1998). Family conflict, overeating, drug and alcohol misuse and financial problems are also commonly part of the Christmas season (Mutz, 2016). 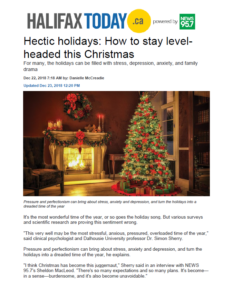 Dr. Simon Sherry discusses the pitfalls and the opportunities accompanying Christmas.